Art Rosenbaum’s “Art of Field Recording” CDs have led to inevitable comparisons with two towering figures of traditional-music collecting: field recording legend Alan Lomax and archivist Harry Smith. Indeed, Rosenbaum has an affinity for, and connections with, both men. He met and interviewed Lomax while he was a college student, and he says Smith’s 1952 Anthology of American Folk Music “blew my mind” when he borrowed it from the Indianapolis public library as a 15-year-old. Rosenbaum is a different sort of collector than Lomax, though, focusing solely on old music and working not for the Library of Congress but in service of his own particular interests. And he doesn’t entirely buy the “Old Weird America” meme that has been attached to Smith’s work since rock scribe Greil Marcus coined the term to describe the supposed strangeness of the music. “I really like what [music archivist] Nathan Salsburg wrote in his preface to Volume 2, that our collection reveals and humanizes rather than mystifies and myth­ologizes these old traditions. I think Pat Boone is weirder than Dock Boggs,” Rosenbaum says with a laugh, referring to the eccentric old banjo player brought to renown on Smith’s anthology. This is a compilation of most of the banjo tunings I know and use. Almost all come from traditional sources. In the few instances where I have come up with a tuning without a clear traditional origin (although it sounds appropriately traditional to me), I designate it with an asterisk. I have avoided modern or newly invented tunings. The tunings are grouped in “families” or keys, to make moving from one related tuning to another easier. Although many, many tunings will be given, from the most common to some unusual ones, this compendium is not definitive or complete. It is intended to be useful to the banjo player and is not a scholarly compendium; frequently but not in every case source players will be named. This feature-length documentary honors older Georgia women who treasure and continue to perform the gospel, blues, mountain music, and ballad traditions they grew up with. Folklorist and artist Art Rosenbaum visits the women (and some men!) in the homes and churches where their music lives on. These visits reveal not only the music, but also the memories and life experiences of these grass-roots singers and musicians. The four main segments of the film feature Blue Ridge Mountain ballad singers, sisters Mary Lomax and Bonnie Loggins; early African American spirituals and gospel performed by Rev. 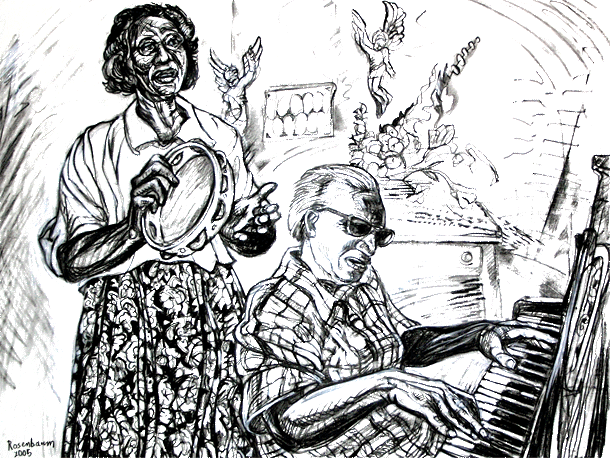 Willie Mae Eberhart and nonagenarian blind piano player and singer, Mother Fleeta Mitchell; a mountain string band and harmony singing group, the Myers family and their friends; and the acoustic guitar and singing of south Georgia country blueswoman Precious Bryant. A couple of times a year, Lance Ledbetter and his wife, April, gather friends at their Atlanta home to assemble a few thousand small wooden boxes and stuff them with raw Georgia cotton, a 200-page book of liner notes, and a collection of rare American gospel recordings. Then they head to the post office. Ledbetter spent years picking through the record shelves of eccentric collectors all over the country, rescuing what he calls “cultural artifacts” from obscurity. After releasing the Goodbye, Babylon box set in 2003, he figured on selling 100 copies or so. To say he underestimated his project’s potential would be an understatement. Bob Dylan bought a box for himself and gave one as a birthday gift to Neil Young, who gushed over the collection on National Public Radio. Then, in 2004, the set received Grammy nominations for Best Historical Album and Best Boxed Package. Ledbetter treated the success as a mandate and made his label, Dust-to-Digital, a full-time affair. He’s been resurrecting 78s and re­releasing the work of unheralded American folk, blues, and jazz musicians ever since. In the process, he has introduced listeners to musicians from Laos, Burma, and Syria. Once too shy to call musicologists to get information for his exhaustively researched books and liner notes, he’s now getting calls from scholars who ask about rare recordings they’ve been sitting on or simply say thanks. Henry Grady Terrell, Chancey Brothers, Mose Parker, Silver Light Gospel Singers, Gordon Tanner & Smokey Joe Miller, Yank Rachel & Shirley Griffith, Lawrence & Vaughn Eller, Golden River Grass, Jake Staggers, Brady Doc & Lucy Barnes, Ben Entreken & Uncle John Patterson, Cecil Barfield, Lawrence McIver & The McIntosh County Shouters, Mary Lomax, Balfa Brothers & Nathan Abshire, The Eller Brothers & Ross Brown, Guitar Pete Franklin, Albert Hash, Eddie Bowles, George Childers, Scrapper Blackwell, Fletta & Reverend Nathaniel Mitchell, Tony Bryant, Juanita & Oscar Shorty Shehan. 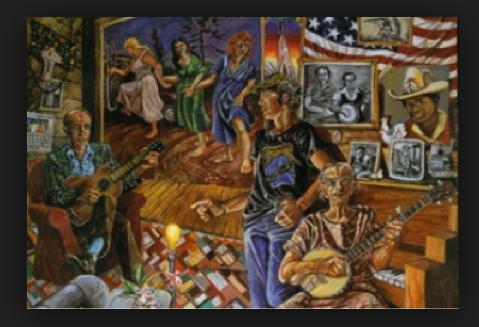 Art Rosenbaum is a musician, muralist and writer who searches out and records musicians hidden away in the mountains, hollers, swamps and backwaters of the rural South of America. For over fifty years he’s been capturing on tape some sensational cajun, gospel, country, blues, mountain ballads and rural bluegrass. I love this kind of CD. Right from the start, it’s a joyous experience to listen to these folks doing what they enjoy best. The tracks are taken from Art Rosenbaum’s two boxed sets The Art Of Field Recording Vols 1 and 2 on Dust To Digital so you could regard it as a sampler from those releases or, like me, you can accept it for what it is – an inspired collection of the best traditional music America has to offer.